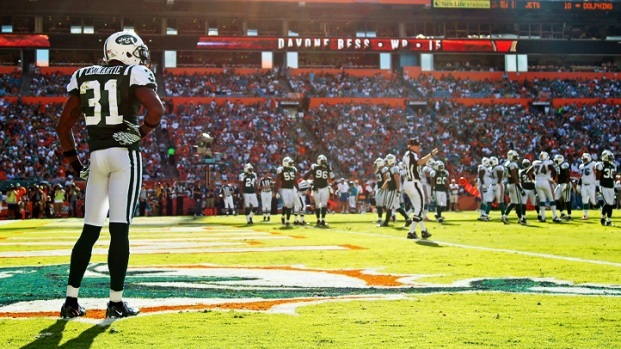 Three interceptions seal the Jets' fate in Miami. Sanchez saved the worst for last. 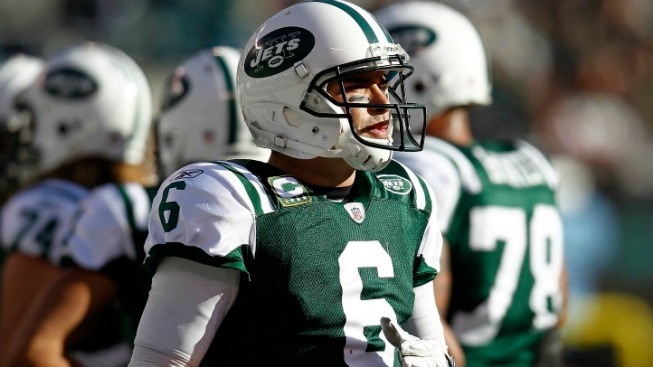 It's going to be a very long offseason for the New York Jets. Not only did they fail to live up to Rex Ryan's bold predictions about a Super Bowl title by failing to make the playoffs, but also they are going to have to spend a lot of time answering questions about the future of Mark Sanchez. He didn't play particularly well at any point this season, but he hit a new low in the Jets' 19-17 season-ending loss to the Dolphins. The big problem would seem to be that the team has no obvious answers to fix what's wrong with the quarterback. His play has imploded so spectacularly over the final three weeks of the season that you can't just make one simple tweak and get everything moving in the right direction. Despite a game plan that was clearly designed to minimize the chance that Sanchez would cost them the game, that's exactly what he did in the fourth quarter with a pair of interceptions that will launch a million columns about Peyton Manning coming to New York. The second of them came with just under three minutes to play when Sanchez threw behind Shonn Greene and right into the hands of Dolphins linebacker Marvin Mitchell. It was a terrible, indefensible throw. And the worst part is that it wasn't even Sanchez's worst throw of the game. That came earlier in the fourth when Sanchez refused to simply take a sack and threw a duck aimlessly toward the line of scrimmage where Miami defensive lineman Randy Starks picked it off. Starks should have scored on the play, which would have ended the suffering a little bit earlier, but he tripped over his own feet. Miami had to settle for a field goal, setting the stage for Sanchez to wind up blowing the season. The Jets got gifted with a couple of penalties to help move the ball into the red zone but were forced into a third down passing situation that led to total disaster when Sanchez did exactly what he's been doing all season. He led them to a late score, but it was rendered meaningless when the Jets couldn't convert an onside kick with 1:13 left to play. There are other problems beyond Sanchez, namely Santonio Holmes getting benched for unknown reasons in the fourth, but the quarterback is the big one. We will now find out how Ryan does when he has to make changes in midstream to get his team where he wants it to go. Plenty of coaches have done it and gotten better, but it is notable that his father could never do it with the Eagles — and the Ryan DNA has proven to be plenty strong in all other ways during Rex's time with the Jets. Whatever Ryan does has to start with the quarterback, because Sunday became the latest and most undeniable evidence that they can't win with the Sanchez they have right now.